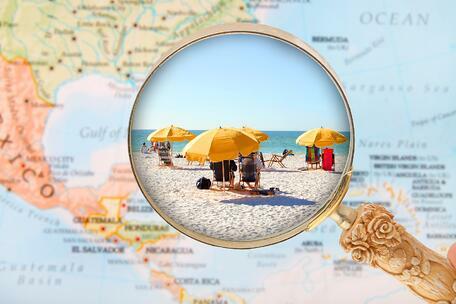 As the southernmost peninsular state in the U.S., Florida has been coined as the “Sunshine State.” Between east and west coast beaches and plenty of theme parks, Florida has a happy reputation for sun and fun. However, if you’re suffering from a medically disabling condition in Florida, it may not seem so sunny. Whether you are applying for disability benefits or are receiving disability benefits in Florida, there are some things you should know. The following are 5 key facts about Social Security disability benefits in Florida. There is no mandate in Florida for state supplementations of SSI benefits. The Department of Children and Families, DCF, in Florida offers an optional state supplementation that works in accordance with Supplemental Security Income, SSI, regulations. The maximum SSI benefit in Florida is 733.00 in 2017. The state of Florida may choose to provide an SSI recipient some additional income if he or she is residing in an assisted living facility or adult family care facility. If you are receiving SSI benefits and live in Florida, then you are automatically eligible for Medicaid and possible food assistance too. If you are applying for Social Security disability benefits in the state of Florida, and want to know more facts about disability benefits or need assistance applying, contact an experienced disability advocate today! Can I Receive Disability Benefits for Ulcerative Colitis?